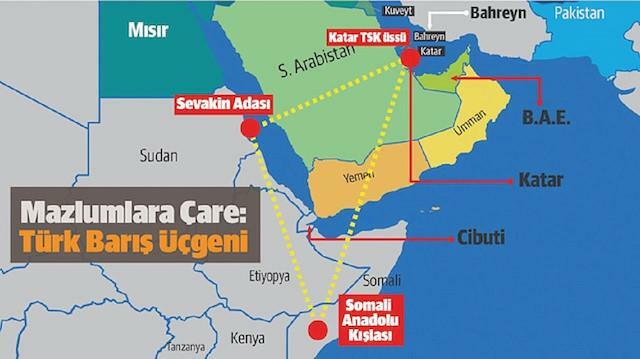 Upon the completion of Turkey’s military base in Suakin, it is expected to serve as a beacon of peace along with Ankara’s other bases in Qatar, securing the area spanning Africa and the Gulf and promoting peace in the Mediterranean, the Red Sea– and even the Indian Ocean. Ottomans used the port city to secure the Hejaz province — present-day western Saudi Arabia — from attackers using the Red Sea front. In a bid to transform the island into a cultural and tourism hub, the Turkish Cooperation and Coordination Agency (TIKA) had restored Suakin’s 200-year-old Markaz (central) Administration building, Ali Ahmad Hamid, the governor of the Red Sea Province in eastern Sudan, said. Next articleWill the peace initiative provoke riots?